Anyone born after 1960, and that includes most sticker artists on the street today, has a positive association with the humble sticker. From “smiley” and “gold star” rewards stuck to the top of your grade-school class papers to scratch-n-sniff or puffy stickers to MAD magazine product parodies for Quacker Oats and Minute Lice, a lot of kids grew up with good feelings about slaps. 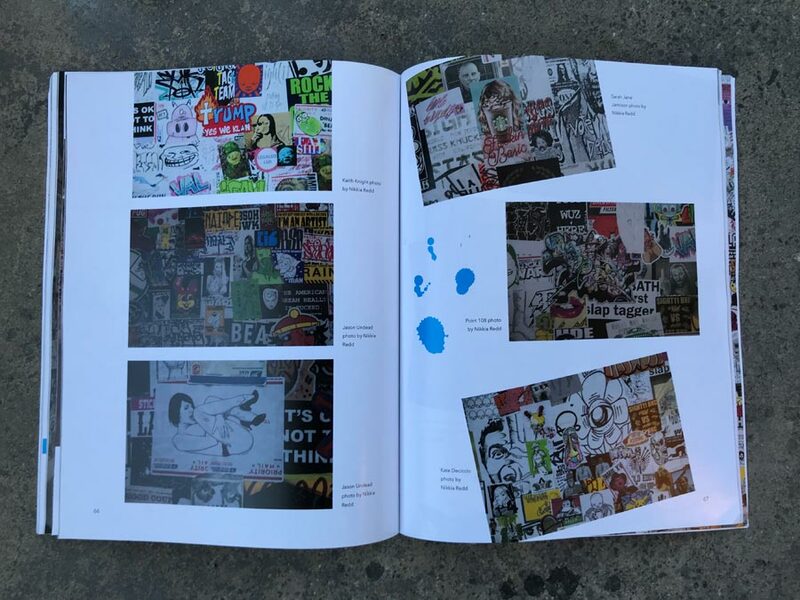 Over the past two decades a serious community of sticker designers, traders, artists, exhibitors and collectors has emerged – virtually assuring that public bathrooms in heavy metal/ punk / hip hop/ alternative music clubs will be covered top to bottom or ‘smashed’ with stickers. 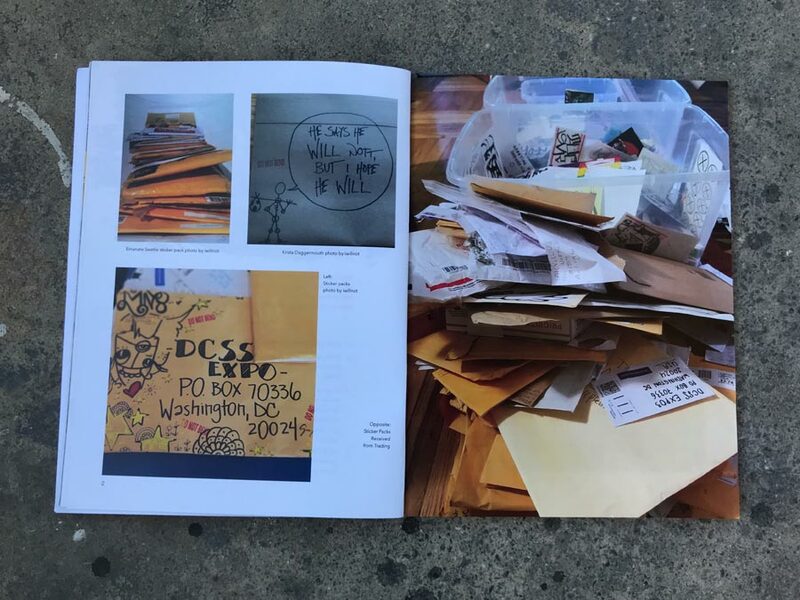 Adhesive equivalents of a business card or portfolio sample for many artists, musicians, philosophers, anarchists, and wise guys/gals, stickers are a quick and relatively inexpensive way to get your message out to the world. 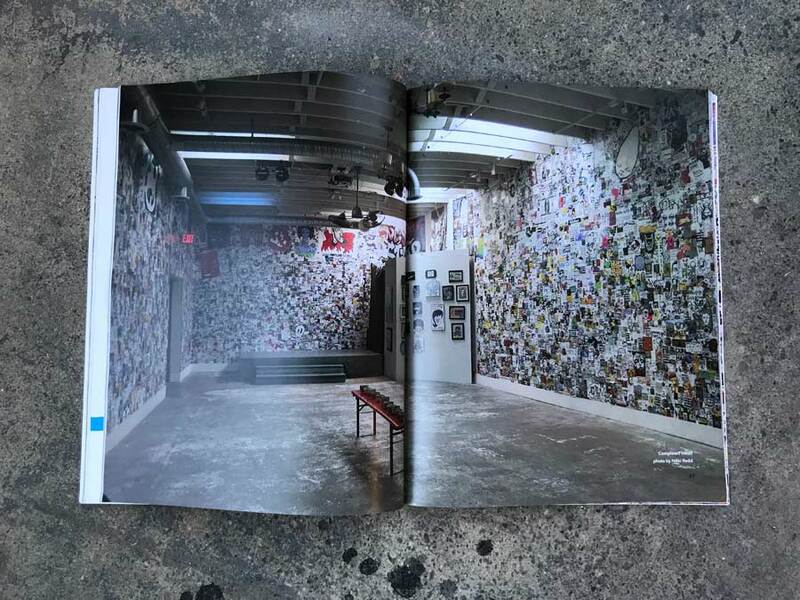 The sticker artist and curator named “I Will Not” has rallied together thousands, even hundreds of thousands of stickers by artists from all over the world during the last few years to mount sticker shows inside of the gallery space – taking the concept of a group show into near infinity. 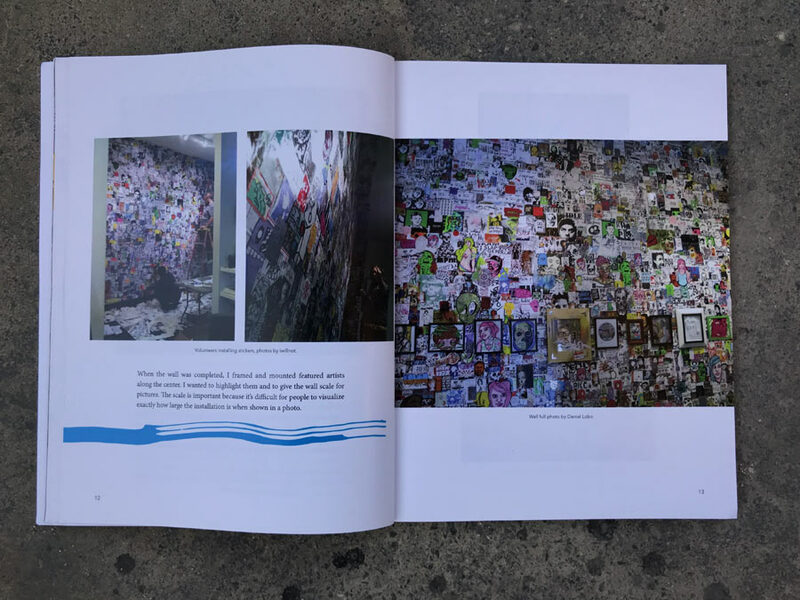 A solo practice intended for public campaigns, the global interconnectedness of this scene is irrefutable, enabling entire galleries to showcase a massive amount of work at once, including these from the DC Street Sticker Expo. 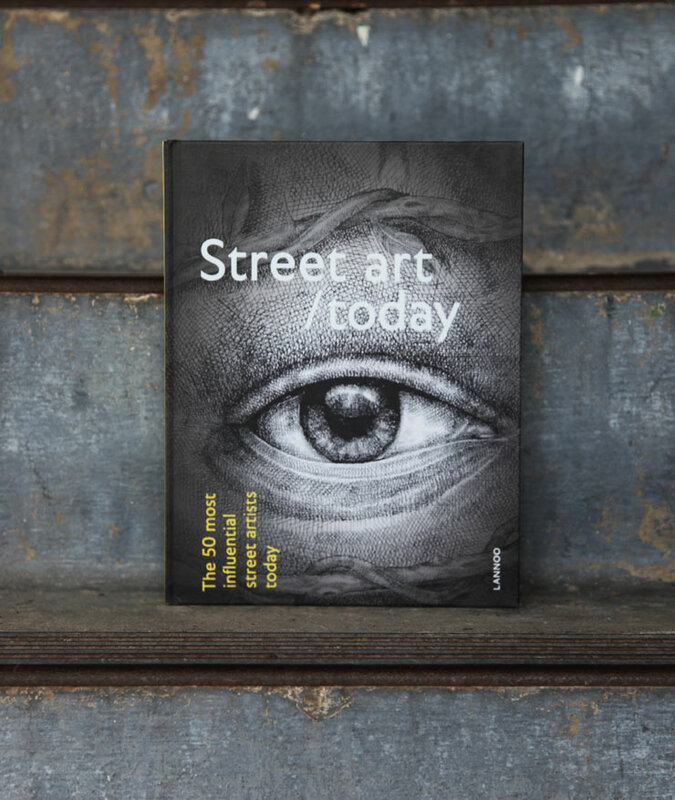 Like most subcultures, this one has a semi-tight set of rules and conventions and customs. 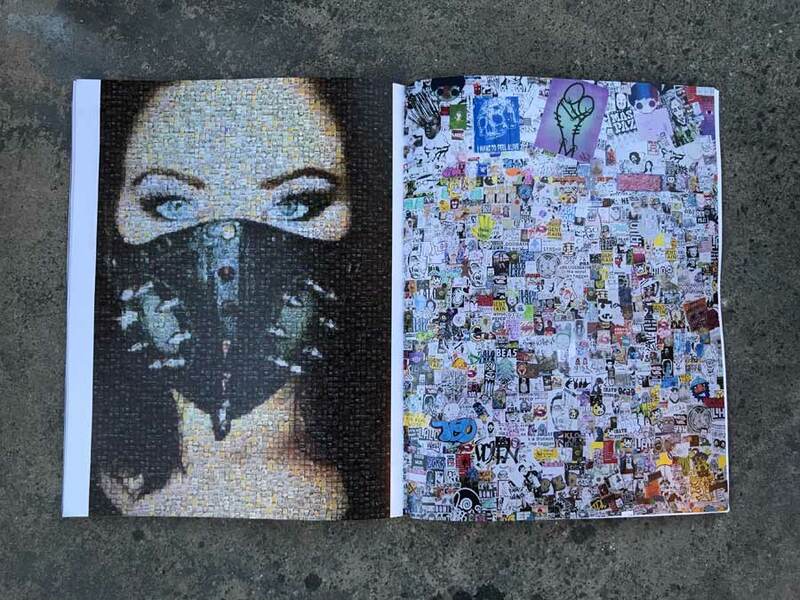 For example, it is common to share your stickers in packs with other artists, but you are expected to put theirs up in your city. 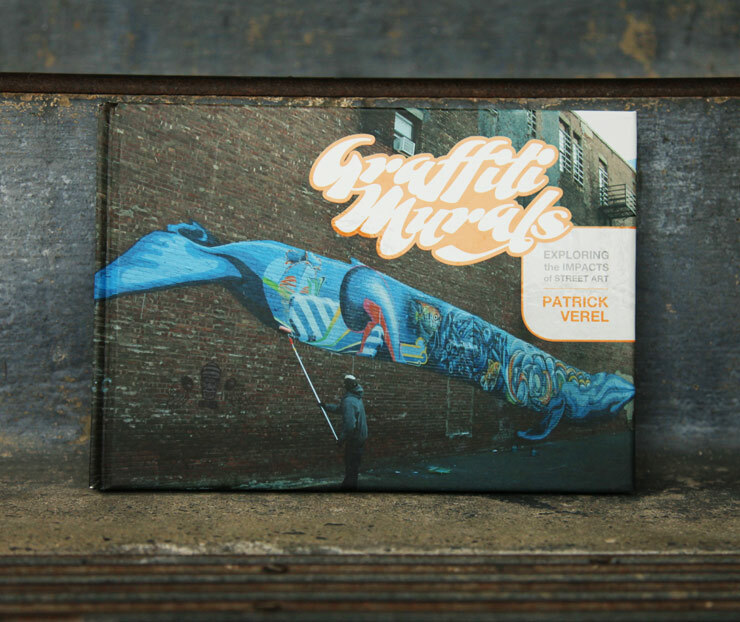 As in graffiti and Street Art, it is also verboten to obscure another artists sticker with yours on the street and any violation of this rule may result in “beef”, or a street grudge and public rivalry. 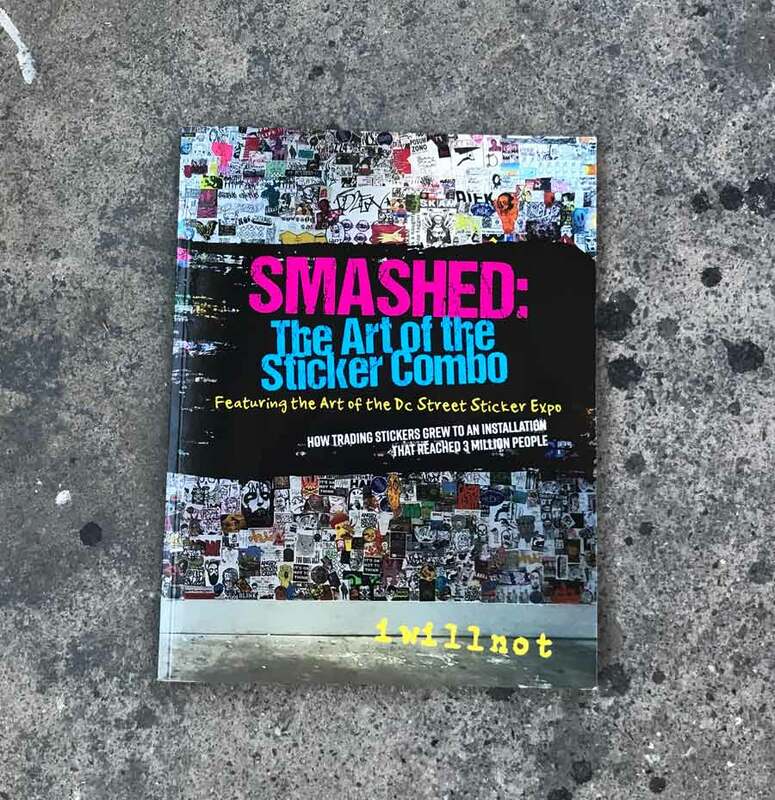 A book like “Smashed” can only come about with the complete passion of an author like IWillNot, who shares his infectious enthusiasm for the sticker game in this softcover volume. 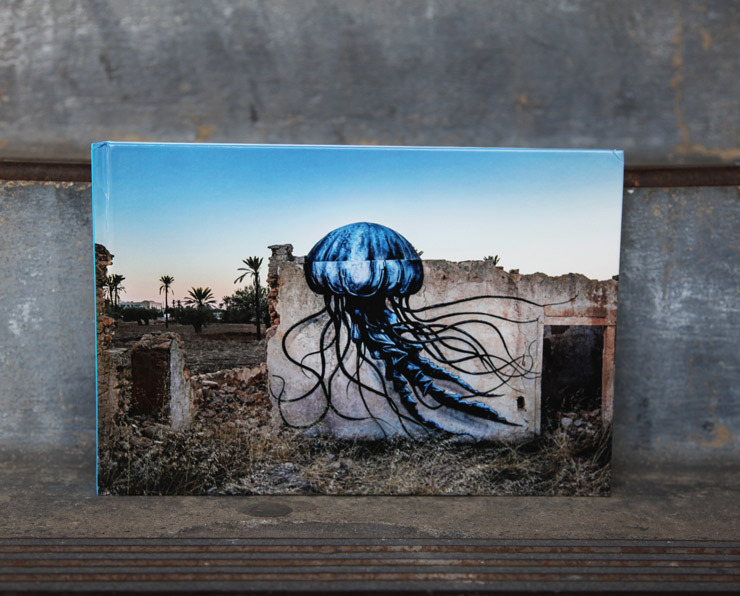 Here are some images from the book, as well as a link to learn more about it.